Years with Cox Sherlock: Since 1998. 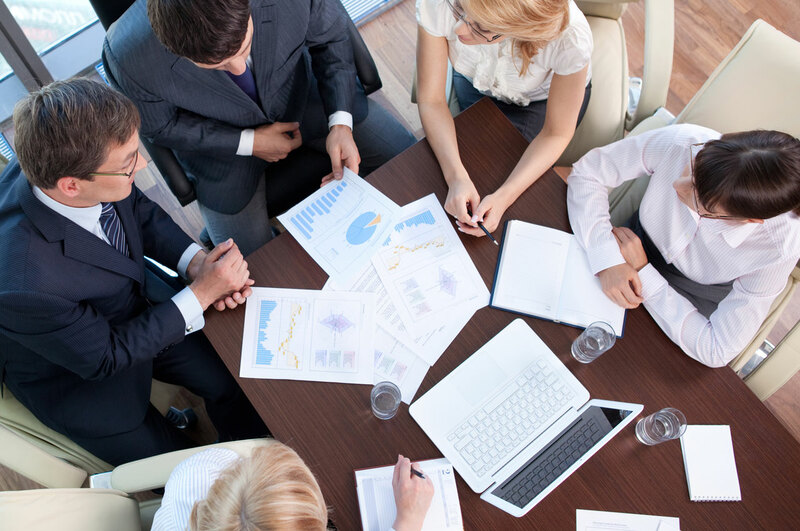 Specialises in: Business clients, Structures and Strategic taxation planning. Ideal client(s): Family businesses who are keen to grow. Favourite quote/saying: If you don’t ask the question the answer is always “No”. If I wasn’t working in the finance industry I’d be: Doing something that was customer focused and didn’t involve weekends or after hours work. Years with Cox Sherlock: Since 2000. Specialises in: Business and Super. Ideal client(s): Business clients of all sizes. Favourite quote/saying: Never reverse further than you have to. If I wasn’t working in the finance industry I’d be: Maybe the Defence Force. Qualifications: Bachelor of Commerce in Accounting and Bachelor of Business Administration. Years with Cox Sherlock: Since 2002. Favourite quote/saying: Don’t take life too seriously; you will never get out alive. If I wasn’t working in the finance industry I’d be: Possibly an Engineer. Qualifications: Bachelor of Commerce (Acc); Diploma in Business (Accounting). Years with Cox Sherlock: Since 2005. Ideal client(s): Business clients of all sizes & SMSFs. Favourite quote/saying: Enjoy the little things in life for one day you’ll look back and realise they were the big things. If I wasn’t working in the finance industry I’d be: Working in aged care. Specialises in: Individual and business clients. Favourite quote/saying: Winning is not everything, but making the effort to win is. If I wasn’t working in the finance industry I’d be: Working in anything sports related. Years with Cox Sherlock: Since 2017. Ideal client(s): Small family businesses. Favourite quote/saying: Why fix it if it is not broken? Ideal client(s): Those that keep good records! Favourite quote/saying: If it is worth doing, do it properly. If I wasn’t working in the finance industry I’d be: Involved in data analysis and spreadsheets. Qualifications: CPA, Master of Accounting. Years with Cox Sherlock: Since 2018. Specialises in: Business and Taxation. Ideal client(s): Clients of all kinds. Favourite quote/saying: Chance favours the prepared mind. If I wasn’t working in the finance industry I’d be: Working in IT. Favourite quote/saying: Don’t die wondering; be proud of your effort. If I wasn’t working in the finance industry I’d be: Working in policy or advocacy for health and fitness. Qualifications: Business Administration Certificate I and II. Specialises in: Payroll and administration. Favourite quote/saying: She’ll Be Right. If I wasn’t working in the finance industry I’d be: Working as a Real Estate Agent. Years with Cox Sherlock: Since 2015. Favourite quote/saying: Never say never. If I wasn’t working in the finance industry I’d be: Maybe a job involving travel. Jeff is one of the original partners of Cox Sherlock Accountants when the business started back in 1999. His early years were heavily taxation focussed, but these days he particularly enjoys working with clients who are in business for themselves. Jeff divides his time between our Canberra office and our Batemans Bay office. Jeff says “Experience does count”.All of his spare time is spent with his four children who keep him busy and insist that he spend his summers at the beach and his winters supporting Rugby League. Angus joined the business in 2000 as an undergraduate accountant. Angus became a partner in the business in 2006 and became a chartered accountant soon after. 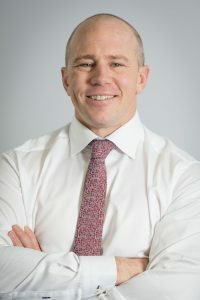 Superannuation and Businesses are of particular interest to Angus, "having your own business and superfund allows you to give clients very precise advice". 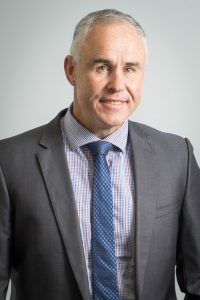 When not guiding clients on business and taxation issues, he takes a keen interest in the local community and is a Treasurer of the Woden Valley Rams Rugby League Football Club. Angus is also a member of the Royal Canberra Golf Club and enjoys attempting to reduce his handicap. Position in Firm: Senior Business Accountant. Carly joined our business in December 2003 as a graduate accountant with a Bachelor of Accounting and a Bachelor of Business Admin. 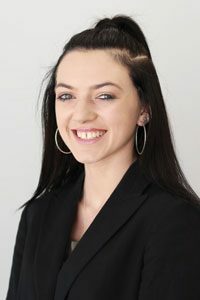 Carly has now progressed to the role of Senior Business Accountant and has developed strong relationships with her valued clients over this time. These days her work ranges from individual tax advice to business and self managed superannuation fund advice. Outside of the office, Carly enjoys travelling, keeping fit, going to the movies and walking her pug. Robyn is one of our senior business accountants who started here in July 2005. 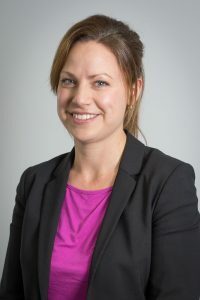 Robyn brought with her a lot of experience, particularly with superfund's and has developed her knowledge and expertise with business related matters since being a part of our team. Robyn works three days per week - working out of the Batemans Bay office every Monday and alternates Wednesday and Thursday between the Canberra office and her home office on a weekly basis. Whilst not at work, Robyn enjoys her time being a mum to her two young daughters and the typical activities associated with living at the coast including bike riding, going to the beach and the occasional surf and stand up paddle. 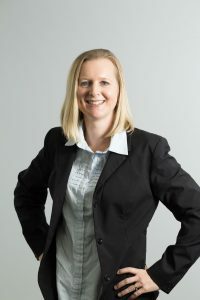 Di joined our firm in July 2011 bringing with her 12 years of taxation knowledge and experience. 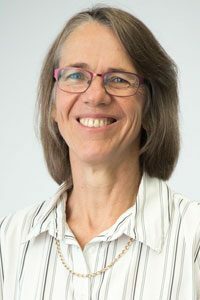 Di has a lot of hands on experience working with trades people and their business's which has enabled her to build good relationships and strong ties to the community in and around the ACT. When she's not in the office Di can usually be found cruising around town in an old restored car or hanging out at a motorsport event supporting her beloved Fords. Position in firm: Business Accountant. Nigel joined Cox Sherlock Accountants in 2010. Nigel enjoys all aspects of taxation and in particular issues relating to Small Businesses. 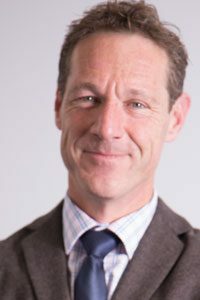 Nigel has a dual university degree (Bachelor of Commerce-Bachelor of Laws), is a Registered Tax Agent with the Tax Practitioners Board of Australia and also is a Member of CPA Australia. 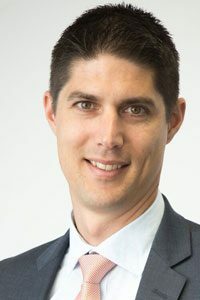 Being previously admitted to Practice as a Solicitor in the Queensland Supreme Court (2004) and admitted to Practice as a Solicitor and Barrister in the Australian Capital Territory (2009), Nigel brings his previous experience in law to the firm. In addition to tax, Nigel has interests in music, arts and sport. Matt joined CSA back in October 2011 after previously working for an accounting firm in Sydney and his hometown of Cootamundra. Matt is currently completing his Bachelor of Commerce through the University of Canberra while working full time at CSA. While he is not at Uni he enjoys getting outdoors, playing touch football and spending his time down the coast. 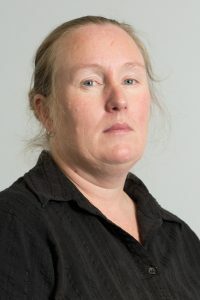 Carmel joined Cox Sherlock in July 2010 after moving to Canberra from the tropical warmth of Darwin. 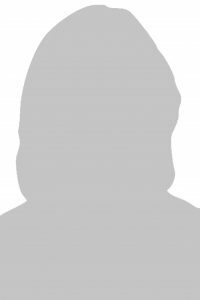 Carmel has been working in the Accounting profession for the last seven years and enjoys meeting and working closely with her clients. Carmel works school hours to enable her to taxi her two boys to their respective sports and hobbies. In her spare time, Carmel explores Canberra and its surrounds and has especially loved the various vineyards being so close by. Carmel is also secretary of the school P&C and regularly volunteers at the local golf club to run the Jolly Joker. Position in Firm: Practice Administrator. Cathie joined CSA in March 2005 as our Receptionist. After two years Cathie was promoted to the position of Administrative Office Manager. This position lead to another promotion two years later, the Practice Administrator. The role of Practice Administrator involves running the administrative side of the business. Although Cathie is not an accountant she can help you with many of your enquiries. Cathie would like to travel, enjoys reading, spending time at the coast, and most importantly, enjoying quality time with her little Grandson. Jane joined CSA in December 2010 as our Receptionist. This was Jane's first office job, previously Jane had worked in the retail industry. 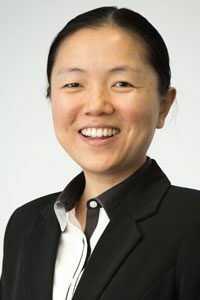 Jane soon excelled and in October 2011 was promoted to the position of Administrator. The Administrator works alongside the Practice Administrator and together they ensure the smooth running of the office. Jane is not an accountant but is more than capable of answering any of your questions. Outside of work Jane enjoys, keeping fit, playing basketball, shopping and fine dining.